Do you ever get frustrated trying to understand the Bible? It can seem daunting, complicated and hard to apply to everyday life. Do you ever get frustrated trying to understand the Bible? 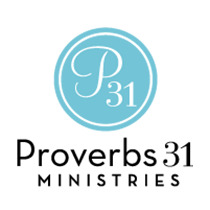 Hi, I’m Lysa TerKeurst with Proverbs 31 Ministries. It can seem daunting, complicated, and hard to apply to everyday life. I’ve found that the more we connect the Bible to our everyday life the more we’ll desire to read it every day.